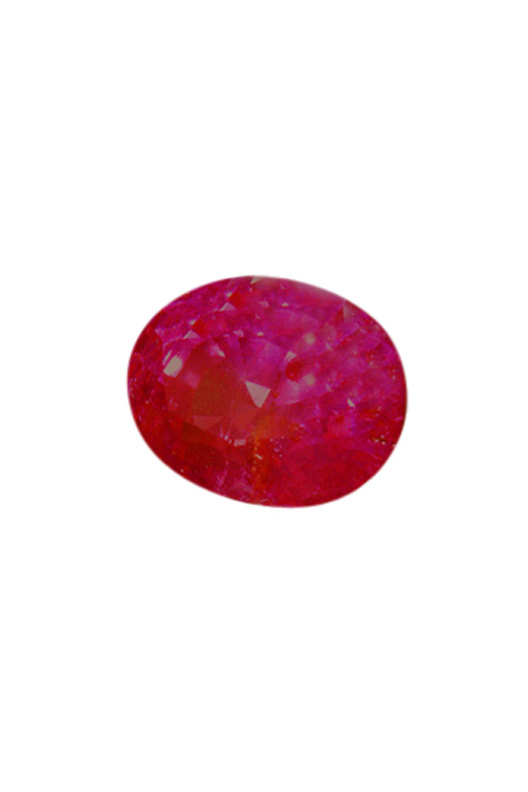 Burmese untreated pinkish red ruby, 1.28ct. FANTASTIC VALUE! Natural Burmese rubies are considered the most beautiful examples of ruby. Rubies are therefore perfectly suited to all jewelry purposes are very hard wearing, durable and a versatile gemstone suitable for everyday wear. Insignificant crystals confirm that this gem is from the famous Mogok Stone tract. Approximate dimensions are as follows; mixed cut oval shape 6.8mm x 4.8mm x 4.3 mm and weight is 1.28ct. This ruby come with a copy of the independent lab identification report. The Ruby has been known as the King of Gemstones, and has been considered to be a protective stone providing the wearer with benefits such as invulnerability and preserved health.